I have a co-worker who is getting ready to get rid of her cable. She's getting an Amazon Fire Stick, and she'll be using her daughter's logins. 1. 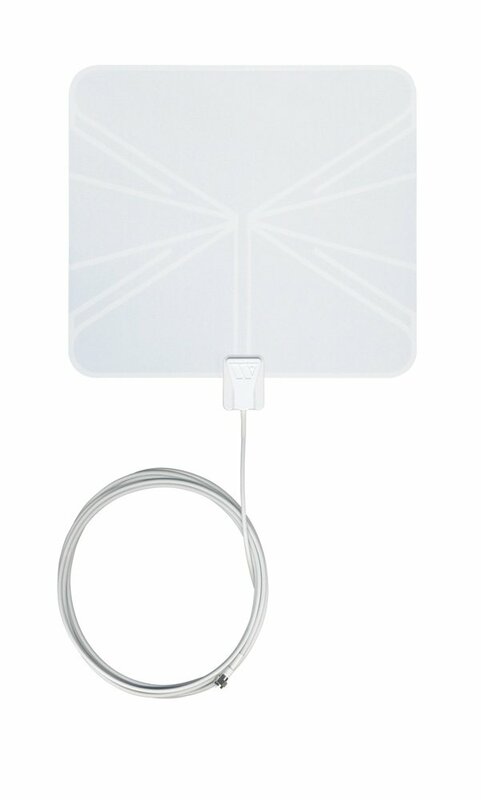 Good digital antenna for receiving local channels? She has friends who have some, but they constantly say how sometimes certain channels come in spotty. 2. What can you tell me about Sling TV? I think I've heard of it, but I know nothing about it to give her any advice. Doesn't she have HDMI in her mom stick? I thought there were some decent, technological geniuses who posted here who might be able to help me help a 60 year old grandma. She comes to me for a lot of technical advice. However, I have zero experience with any of this. This both a pretty easy, and still situation specific issue. There's a ton of cheap options. So long as they are in a decent area for reception, digital is much easier than analog. This site give a lot of background, particularly if you're putting a large directional antenna up and want to maximize it's range. But you can likely do just fine for local stuff with a ton of indoor options available at any of the big box stores in the $30-50 range. Yea. It depends where you are. I tried an antenna in the living room and it was ok, but not great. And then if you want to DVR an over the air broadcast that is a separate headache. I found the same when I've tried an antenna in my living room. Worked but not great for the channels I wanted but if I put one in my attic I'm sure it would be solid enough. Was pretty amusing to see the super randomness I was able to get though. Completely depends on where you are and what could be blocking your signal around you. I'm only a few miles from the center of a major city and thought I was going to easily get the big networks but turns out they are all broadcasting from 20 miles away. It really depends on where you are and how far you are from broadcast towers. I had my best reception with a unidirectional 15’ boom and in-line signal amplifier. Unfortunately it’s really windy here in the winter and I had trouble with it getting misaligned. It ultimately got damaged and had to be replaced. I now have an omnidirectional disc-shaped antenna. Signal strength is about 20% less but I get channels from 2 more markets than before. FWIW, I HATE the Amazon Fire Stick. I got an amplified, directional antenna that I put by a dormer window in my attic. I get 40 or so channels (I don't watch all of them because so many are "junk" or spanish language channels). However, they ALL come in crystal clear. I used an amplified spliter to run the coax from the cable to 6 rooms in my house. It depends on where you live with antenna in urban area with TV towers withing 30 miles you can easily get away with the winegard plastic antenna. Its what I use in KC and it works great. A rural environment is different and requires a roof or attic antenna or sometimes more height. Topography can also make a difference in reception. If you live in a high area results are better. This is the one I use and there are also generic brands people have good results for 6 to 10 bucks. I had Sling TV for a couple years and have no regrets other than layout and navigating around to find some broadcasts. I left it recently for Youtube TV I like much better except for no NFL channel. The all have free 7 day trials dont hesitate to take advantage to find one that suits needs. Now DVR is a whole new critter to record live broadcast it may take special equipment and that a whole different discussion. I will say youtube TV is nice with the cloud dvr. I have one of those antennas, and some days I struggle to pick up the signals from 60 miles away. I’ll probably end up installing an exterior at some point. Did you jail break it? Yeah 60 miles is pushing it though winguard sells a 50 mile range amplified antenna that is powered buy either usb or wall wart 120 wall receptacle. I was lucky..The previous owners of my house left a huge antenna in the attic. At it's widest point it is about 4 feet. It is on a stand and I am able to get 49 channels. As far as the Fire stick that thing doesn't have the guts. Get a Fire TV (the step up from the stick) try that..better yet if you can find a used Gen.2 of the Fire Tv the better. Then get on Youtube and find APK's (Live TV) and Terrium TV apps to install.